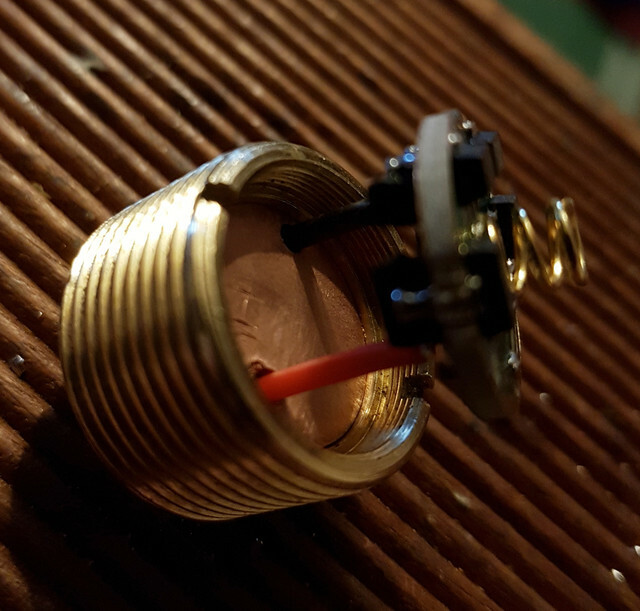 Then put some Arctic MX-2 paste inside to fill out remaining gaps and pushed in the piece of brass rod leading wires through. The rest was a piece a cake. 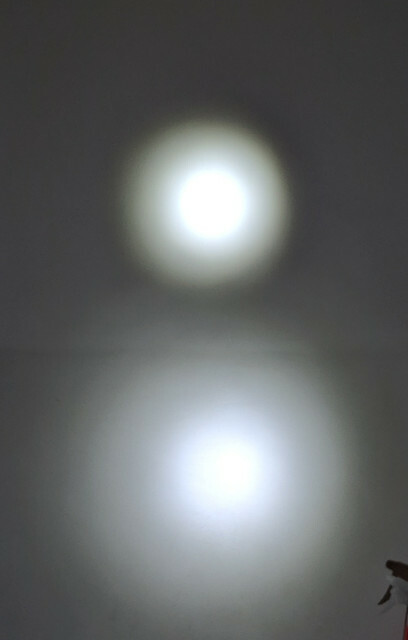 Used Luxeon V 4000K from L4P (which I love, even with not the highest possible CRI). 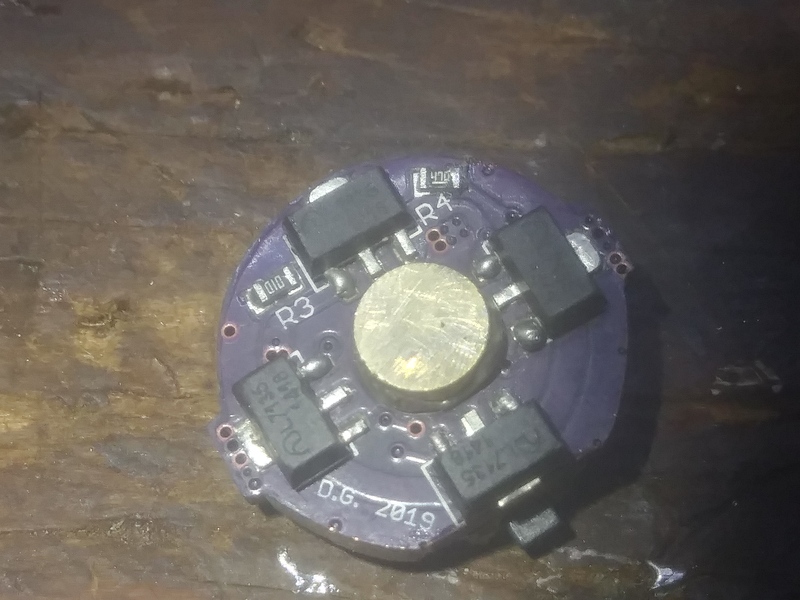 I soldered it onto the pill with a tin paste. 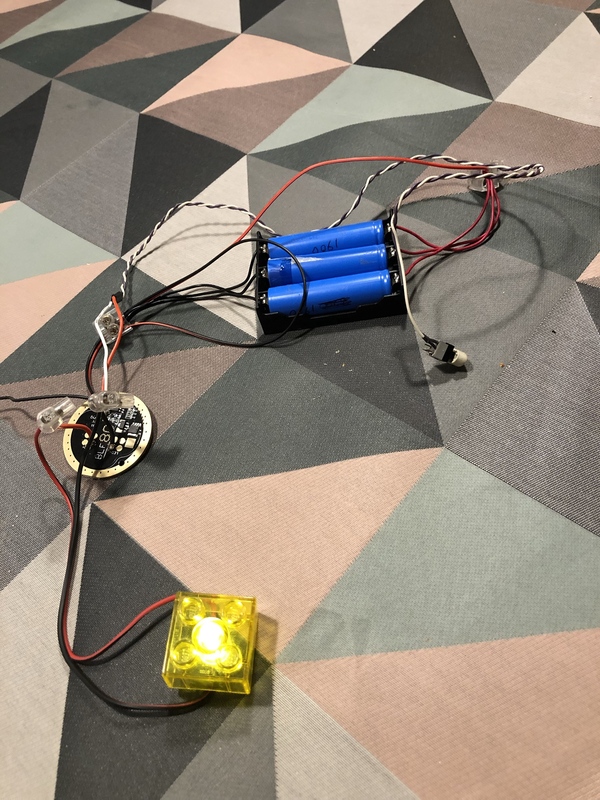 Soldered wires, bridged springs and put parts together. 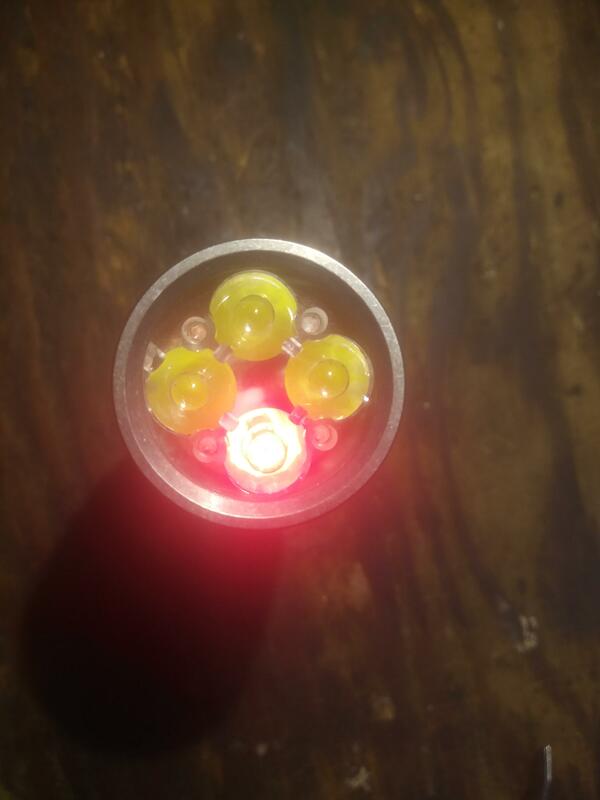 You surely know how does the C S2+ look like so I skip the picture of host. But what's significant. 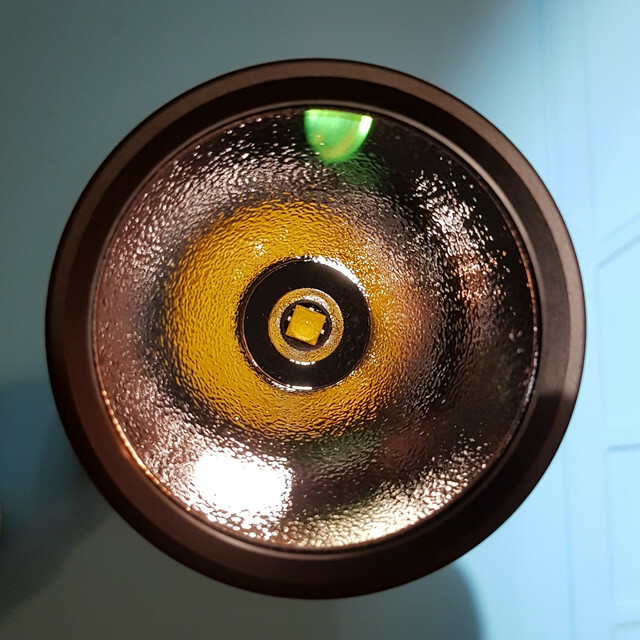 Firstly I put inside just a cheap striped lens for S2 (don't remember where acquired - BG? GB? or Ali?). After a few days arrived an original Carclo Stripe lens LT-0843. 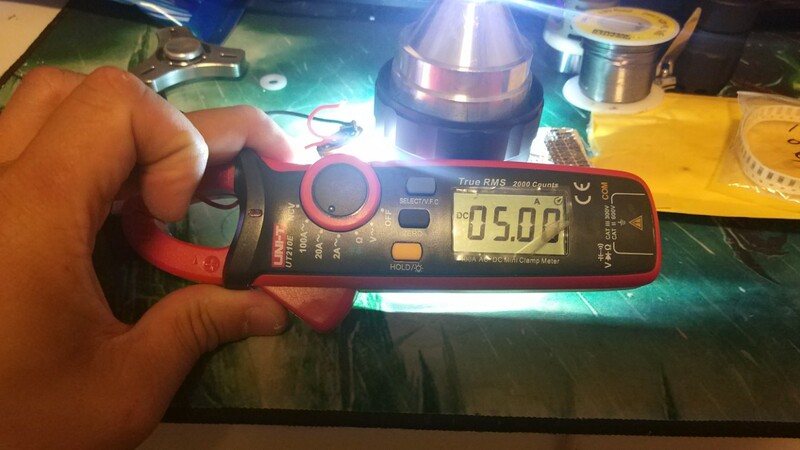 I was stunned with an output difference it caused. Looks like 29% lux gain! May your weekend be full of succesfull mods! Have a while more so maybe I could get you bored with another my build. Nothing really interesting. 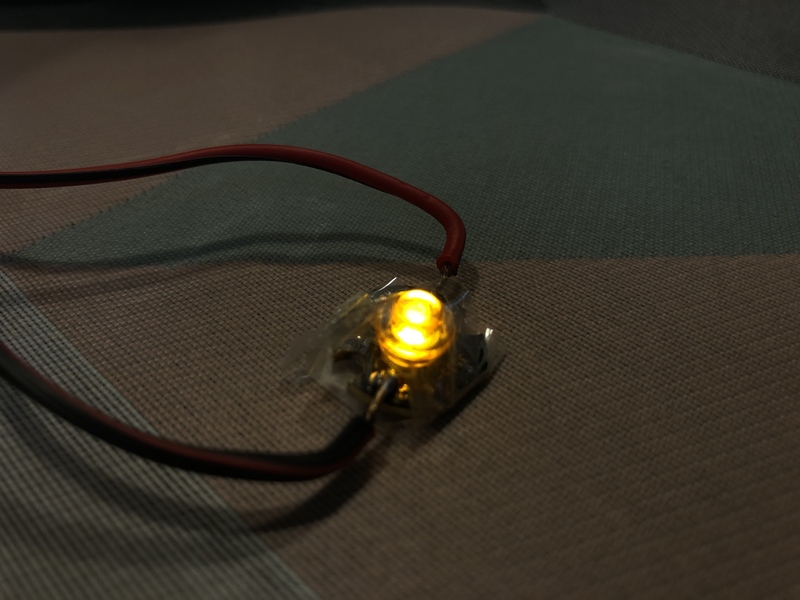 have the 3-LED version; do you think it’s enough to change the FET to give the flashlight a bit of sprint? 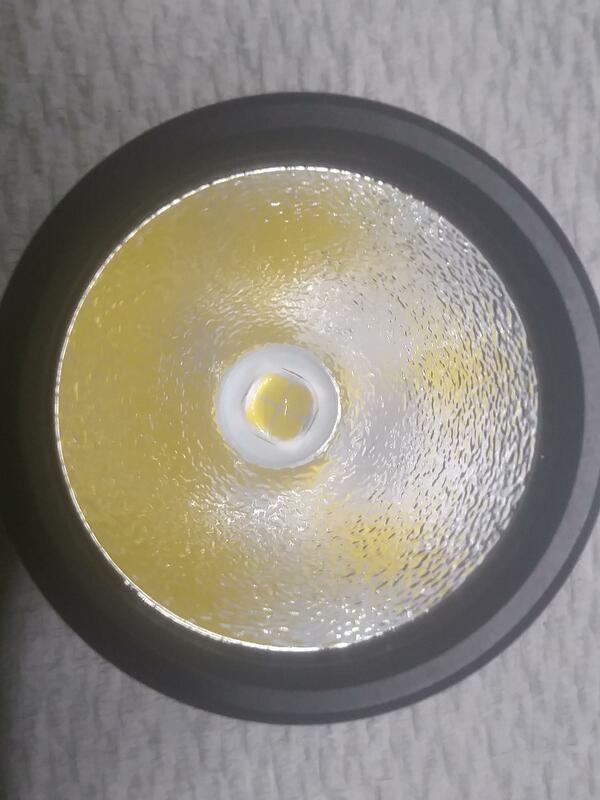 I find the 80CRI Cree leds very acceptable outdoors, even the yellow corona. Good mods 1stein! 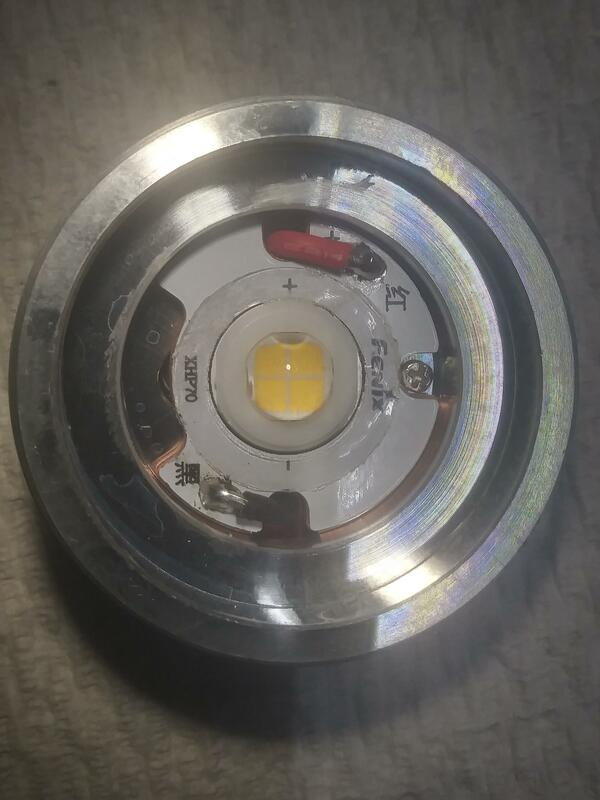 I find the 80CRI Cree leds very acceptable outdoors, even the yellow corona. 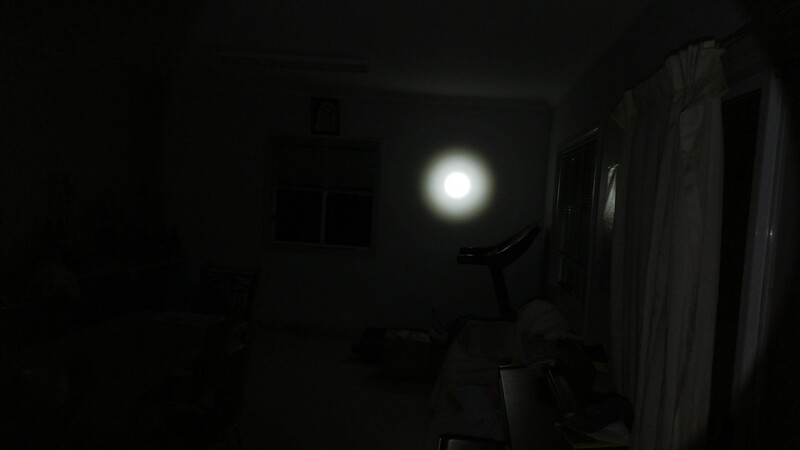 Aint really solar anymore… It got a power assist. Cant count on the Sun, what can ya count on? 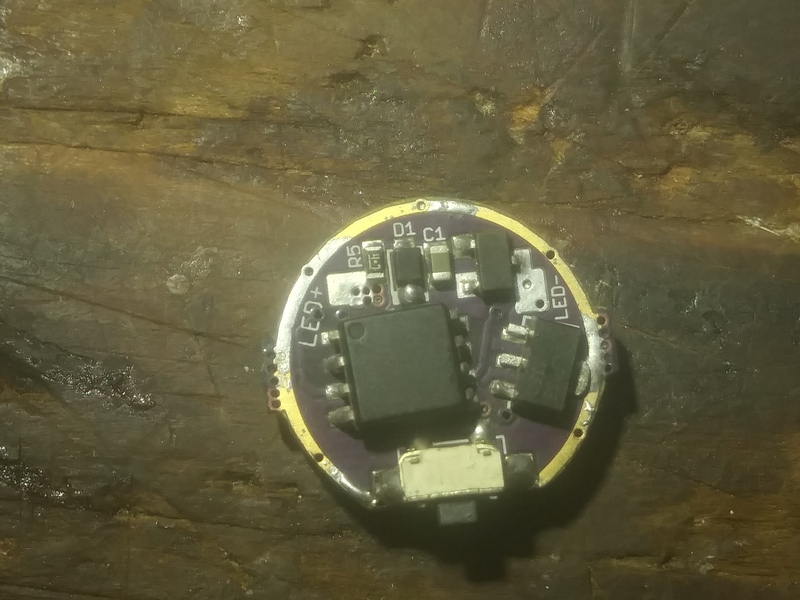 Added a 2.1mmX5.5mm power jack to plug it into a USB wall wart. 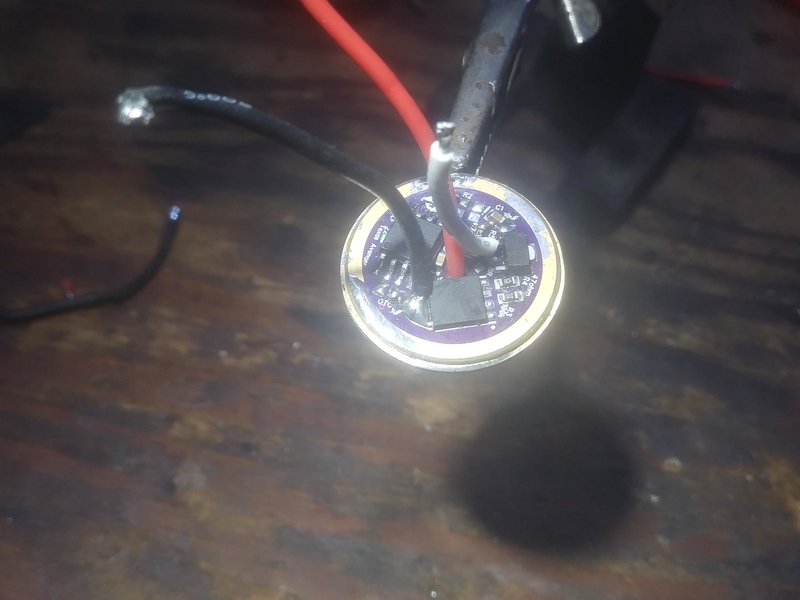 Charge circuit cuts out about 4.1V so it’ll be fine. Still got a couple 18650 laptop pulls inside cause they are better than the garbage cells it came with. 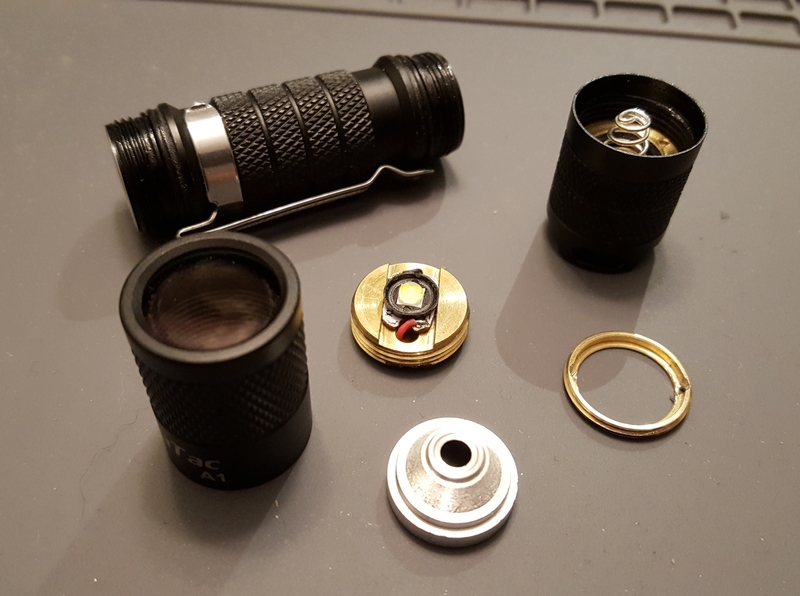 Glued the modified #14 finishing washer around the button of my Fireflies E07 last night. Used epoxy so this is permanent. Removing it would probably damage the finish. Didn’t see the post about Goop till I’d already done it. Still the final result looks pretty good. The gap below the sides of the washer are covered by tiny bits of aluminum strip. 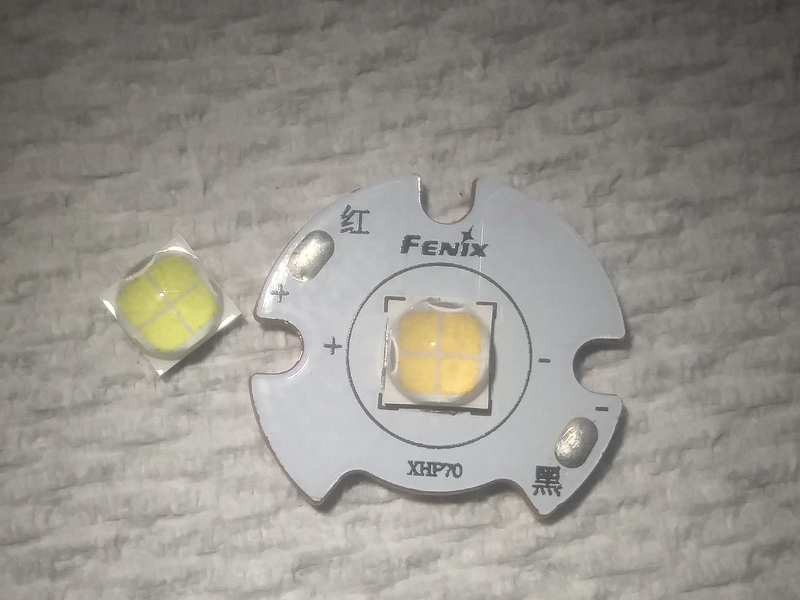 It hides the glue and makes the light look like it was manufactured this way. Trying to flash my D4 to Anduril, but I can’t get AVRdude to run. Every time I try running it the command prompt says “Does not have permission”. And a popup window appears saying the app is not allowed to run on my PC. I installed AVRDude last week briefly. For the first 20 minutes it worked and behaved normally, but now the app won’t even run. Uninstalling and reinstalling didn’t help. Using Windows 10. This is a home PC and I’m the only one who uses it. I have admin privileges and have no idea how this happened or why the app stopped working. Any ideas? or suggestions for alternate programs that might run? You may need to install the driver for the USBAsp, Windows 10 may not have it in it’s library. I recently had to restore Win 7 Pro and lost things such as this, had to hunt everything down and do reinstalls. Might try running it as admin (right click), even though you have admin rights. Seen you need to do this sometimes just once. that happens a lot with 3D printer stuff, it seems microsoft runs some kind of check or something then disallows the the thing! .. i.e. it ran fine for 20 minutes? hmmm then not. next comes the windows update that resets everything back to let every one use and record and store bumf on your pooter.. then your drivers no longer function. (in hind sight microsoft are robbing you of any non microsoft ‘approved’ things. very anoying being monopolied isnt it). ‘zadig’ can be a help, haven’t got a link to it off hand but it’s got the printer working a few times. it basically recalls or initialises the drivers microsoft reset to ‘off’..for want of metaphor’s that seem extremely accurate lol. The sum of the parts are actually pretty decent. 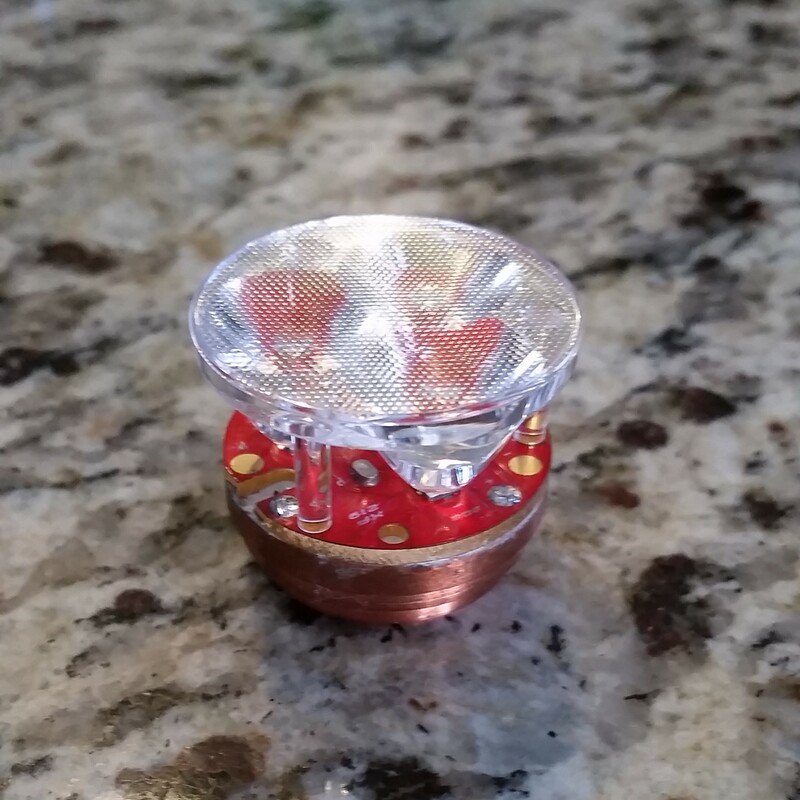 It has a copper mcpcb, short brass pill, retaining rings, LED spacers, o-rings, etc. HOWEVER, it’s glued everywhere. 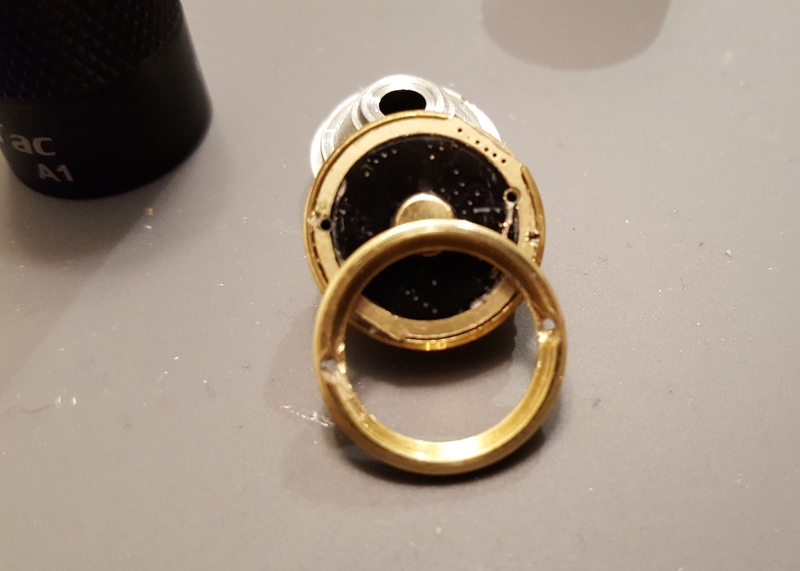 The retaining ring has a slight indentation on it that I tried to use but it didn’t budge. 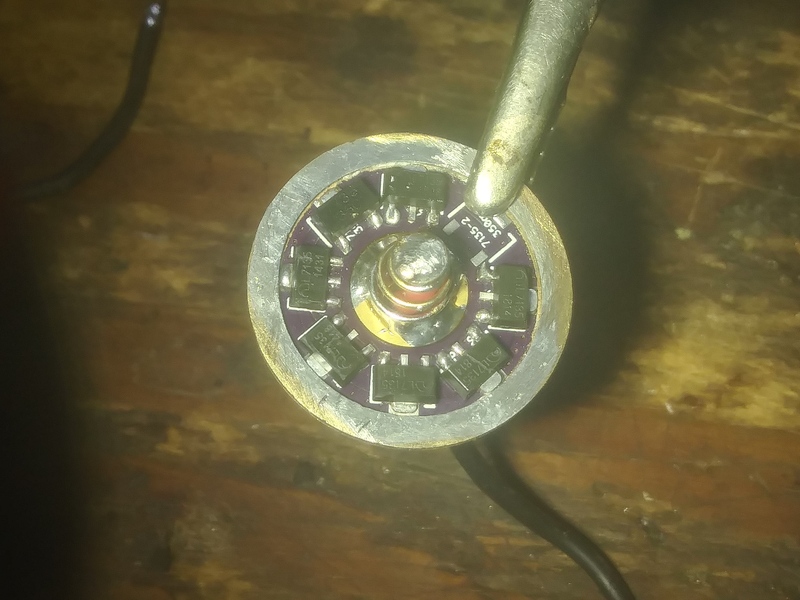 I ended up using the smallest dremel drill bit I had (1/32”) and making two holes in the retaining ring and nearly breaking the best hardened stainless tweezers I have but I got it free. 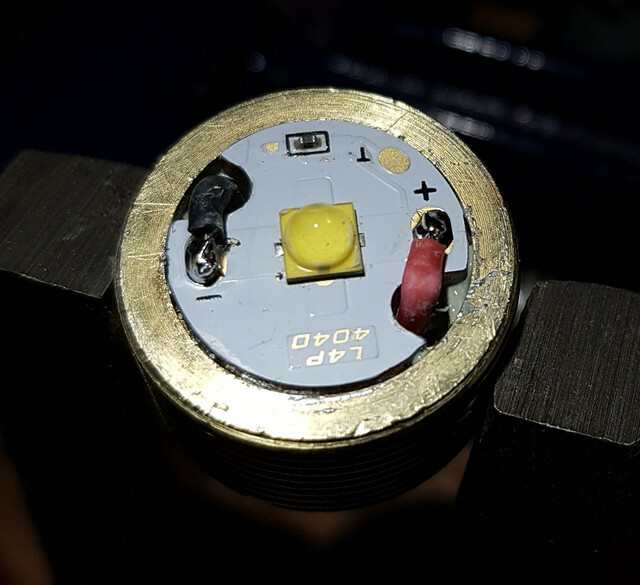 I found blue loctite on the retaining ring only. I was going to swap the tail spring as well but that ring is also glued so I decided not to. Two holes in the ring are mine and the left hole in the driver ground ring is mine, the right hole was already there. 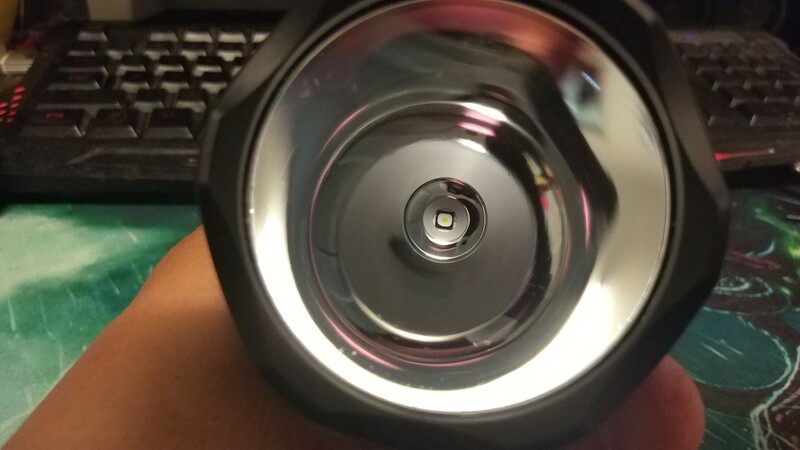 I swapped in a LH351D 4000K 90CRI and didn’t really lose much/if any output from the ugly XP-L HD that was there before. Saturday was the Utorch S1 mini. 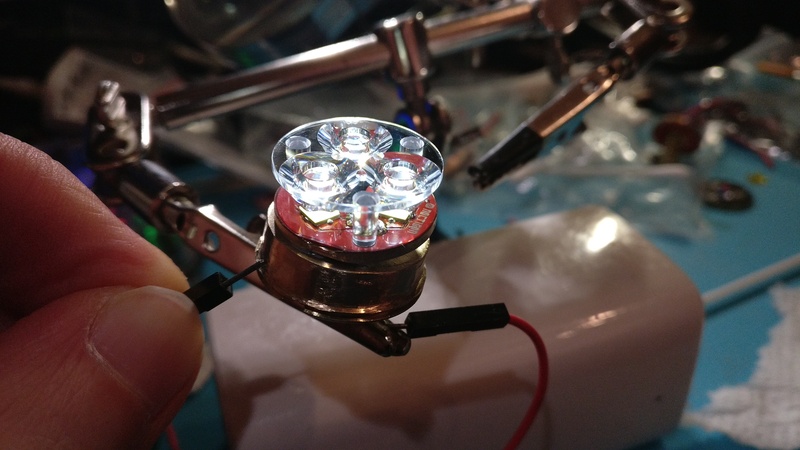 Its got a custom driver, 1+4×7135+FET running anduril and a 5000k Luxeon V2 with a layer of DC fix on the inside of the aspheric lens. 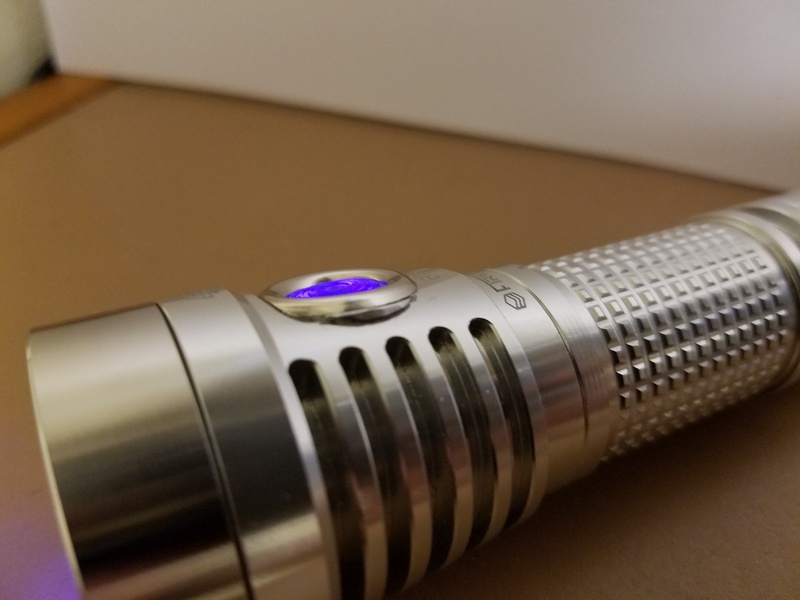 Finally I capped the weekend modding extravaganza off with the AX3 mod. 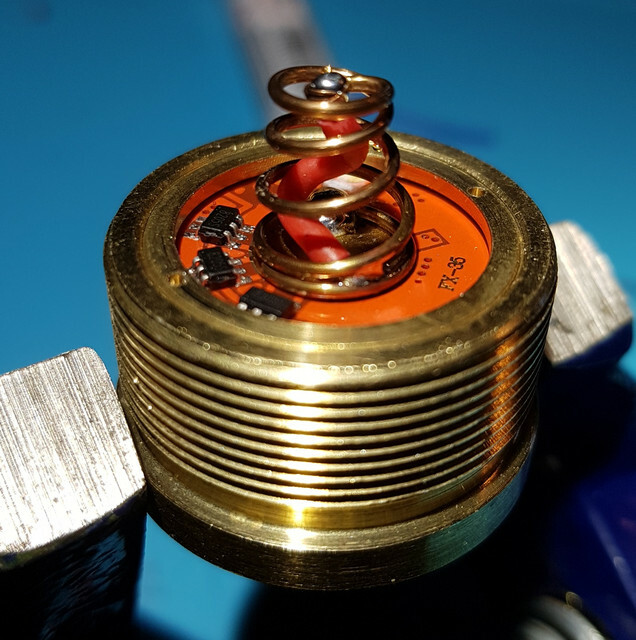 Again a TA 22mm driver but with the 1×7135’s output leg isolated and modified anduril FW for a red moon mode than can be turned on/off without flashing new FW. 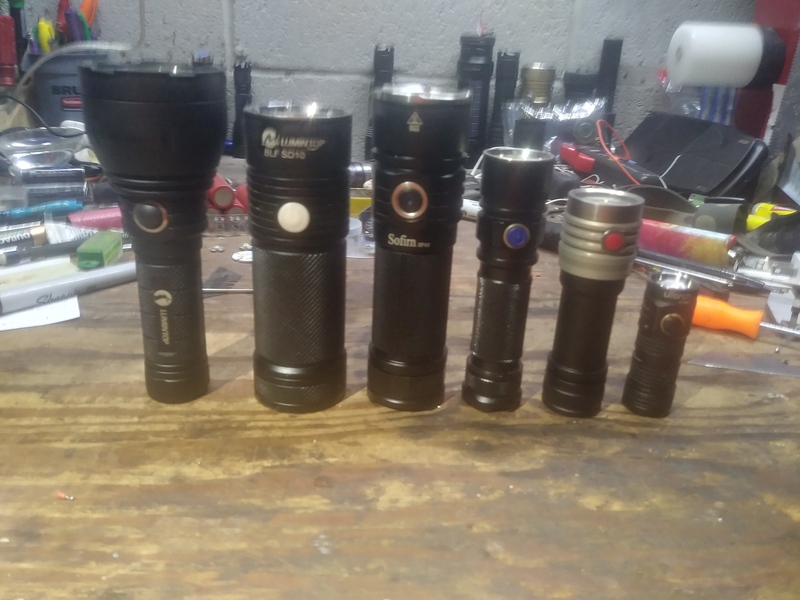 My anduril light collection is up to 6 now (and only one of these lights came with compatible HW)! 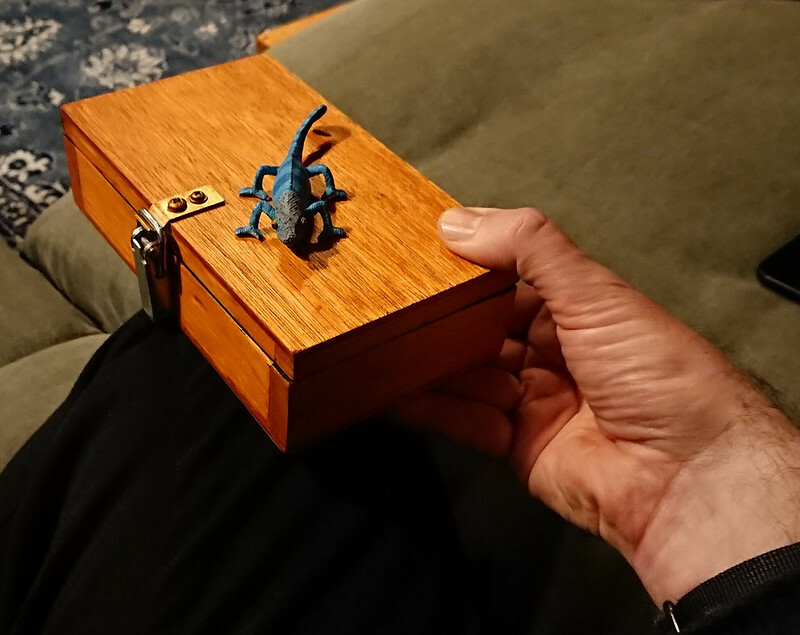 I build a small wooden box for my spectrometer. 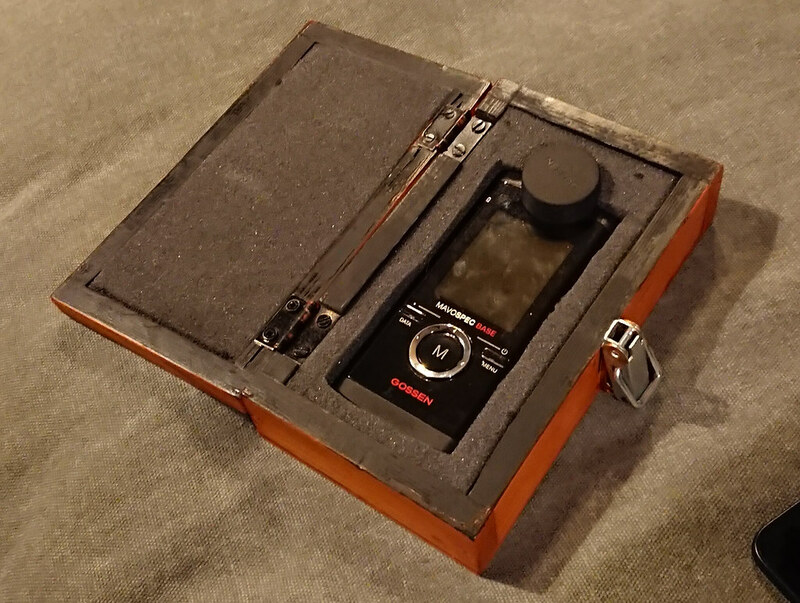 The device came in a complete suitcase that protects the expensive tool very well but is very inconvenient to use because of its size. 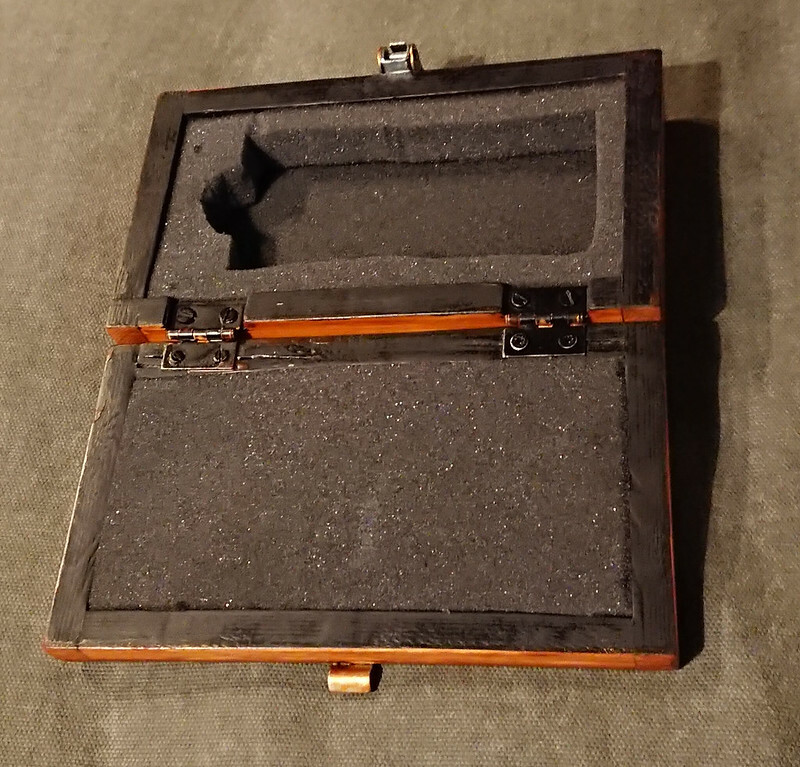 And because I was in a nostalgic mood I made this little chest with pine wood, triplex, wood glue, nails, paint and some dark grey polyether for the inserts. 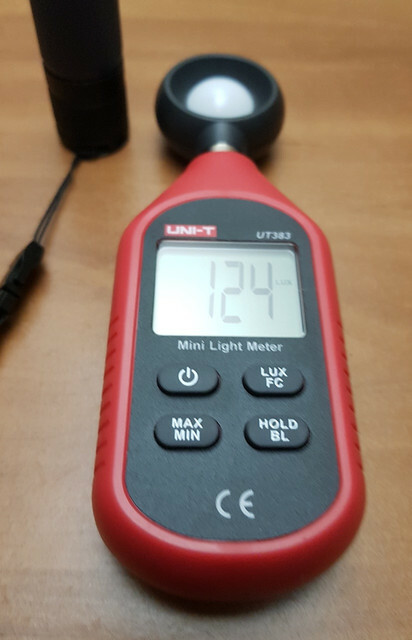 It is not made very precise but it feels good and makes for a very good protection of the spectrometer, that is now much easier to carry with me, with less worries. Nice job djozz. I guess you still have all your fingers and thumbs. 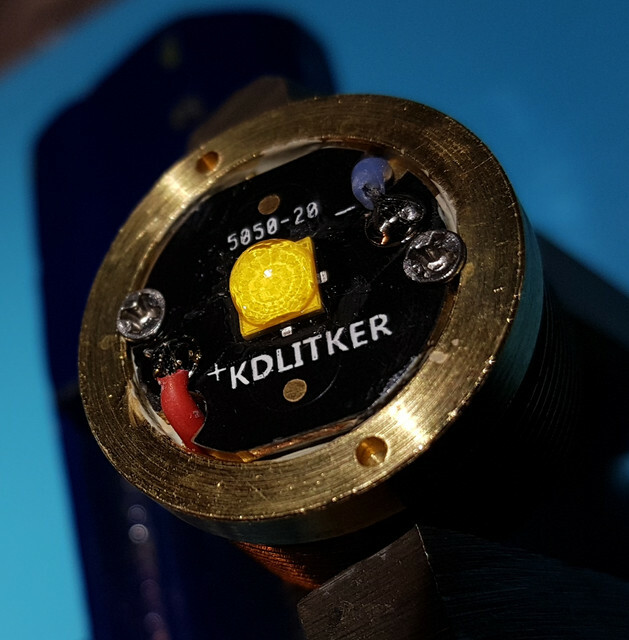 Emitter swap in a TK35UE for a member here. 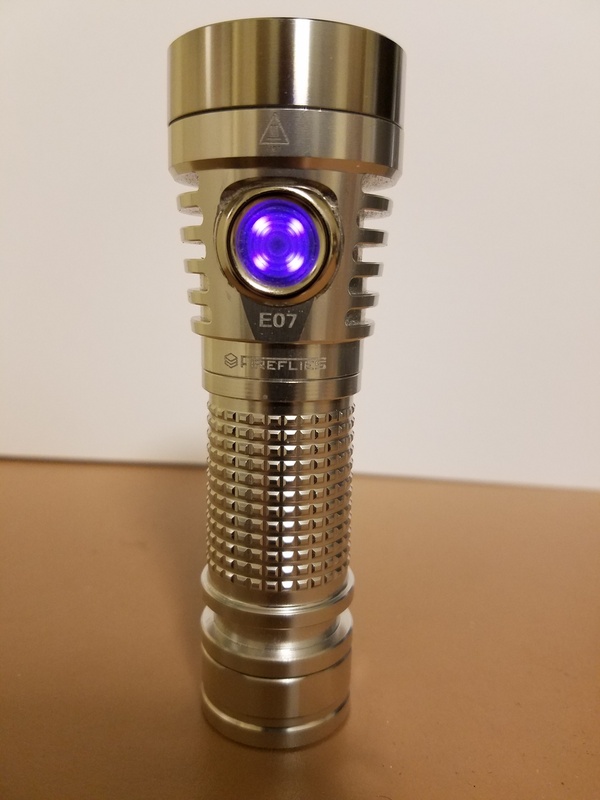 Swapped in a 4500k 90CRI emitter (XHP70A-01-0000-0D0UJ445G). Build quality is amazing as you could expect. 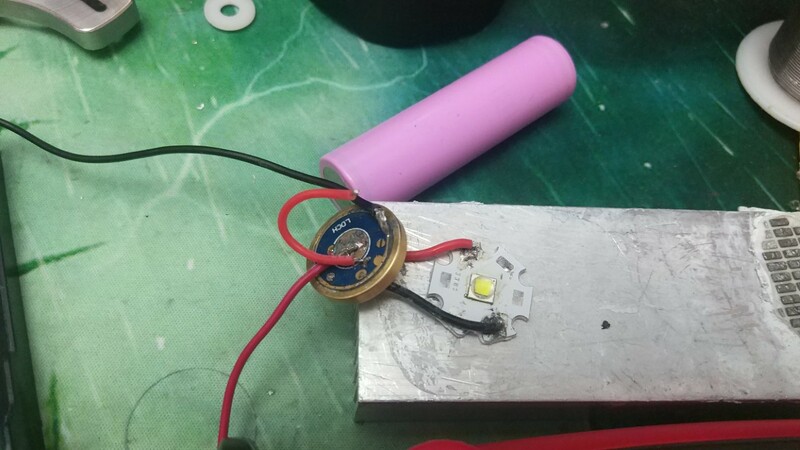 The battery carrier is the driver and the battery charger all in one! 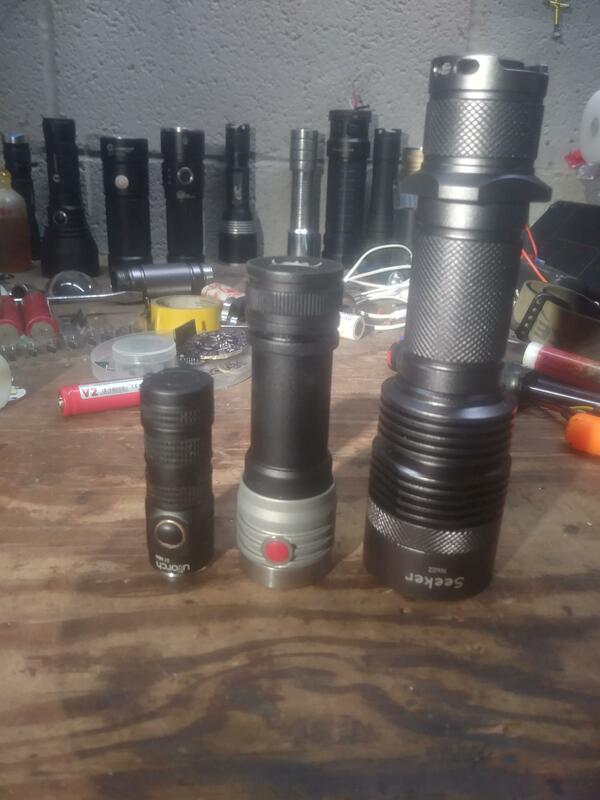 I finally picked up the pieces of an F13 triple I started over 2 years ago. 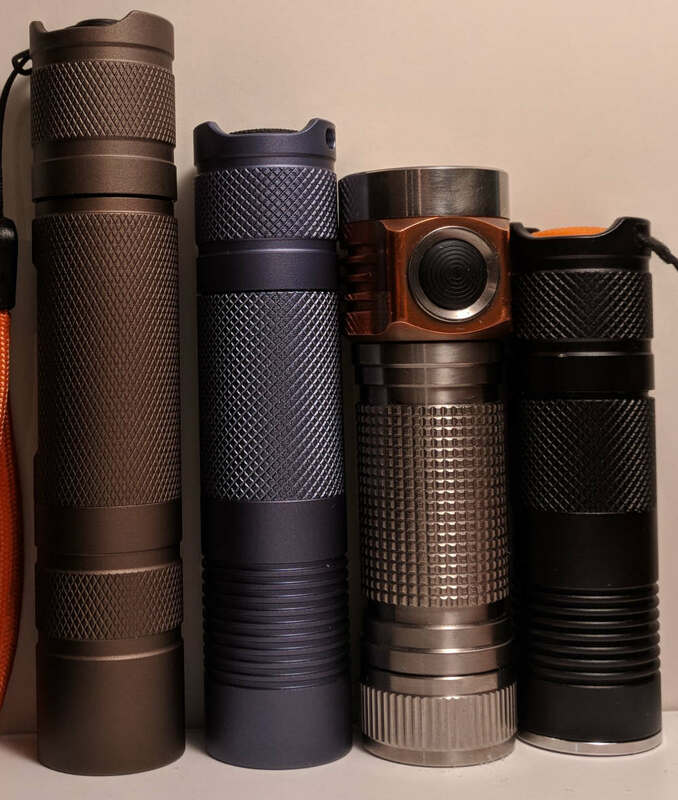 I had amber/yellow/red in the tailcap from when I started, but I decided to go all amber. 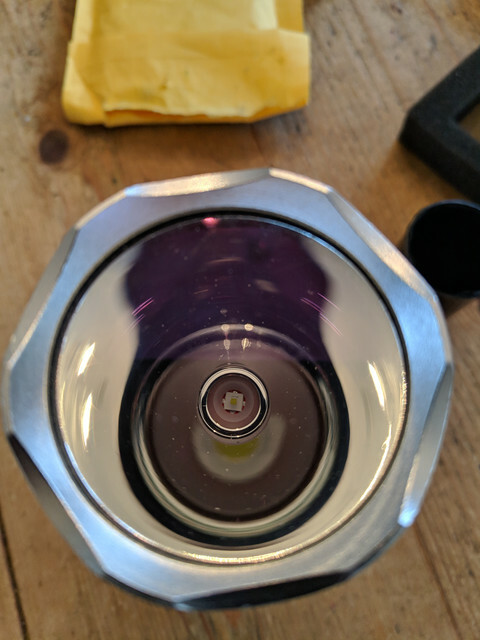 I’d like to throw some amber trit vials under the lens. Purchased the spacer from kiriba-ru back in ’16 or ’17. Wait too long to build this stuff, something better always comes along. With the latest boost drivers, I’d much rather go with a single xhp50 or 70 now. I do love this spacer, though. Huge chunk of metal. 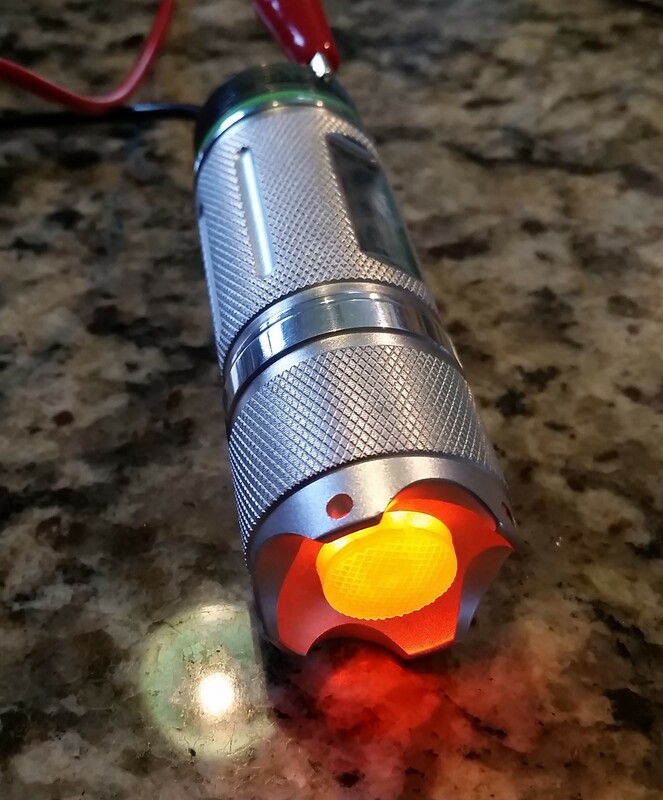 Took the C8ish 7 emitter ebay light to the next level with 7 SST-40’s. 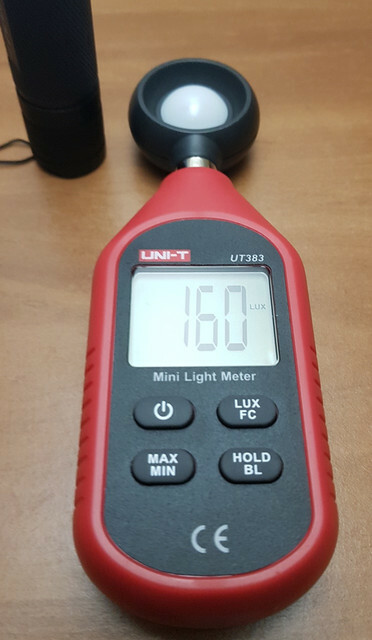 Out of the box on a Basen 26650 it measured 1368 lumens from XM-L T6 emitters. 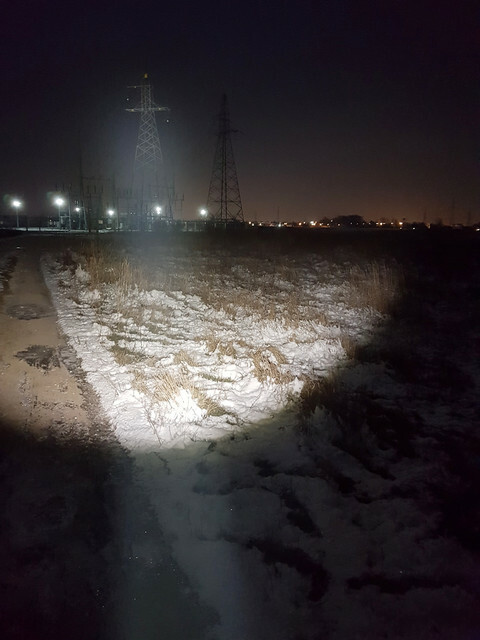 Now, with the 40’s and a Samsung 30T, it does a start value of 9694.5 lumens. 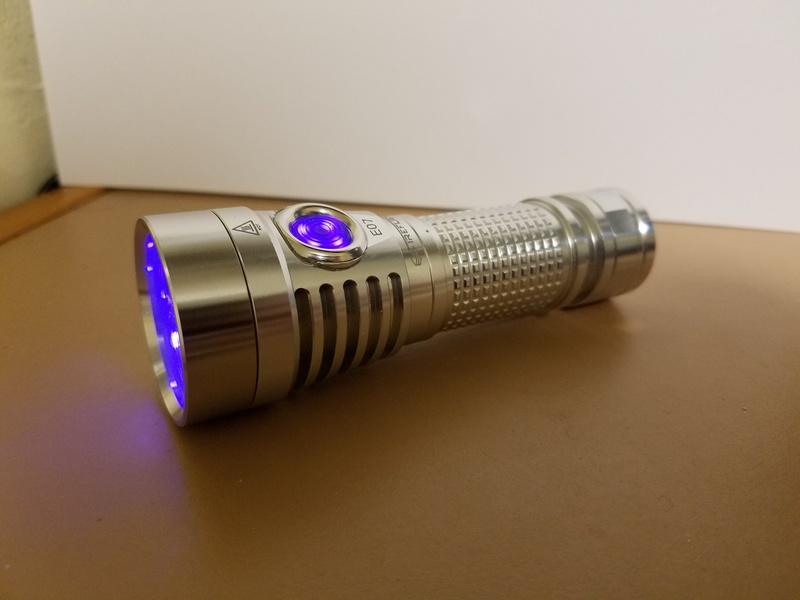 The F13 makes a very neat triple, with it’s 26650 cell capacity it’s a nice solid build. Lol…yeah, no kidding! DB is there a build thread on that F13 somewhere? 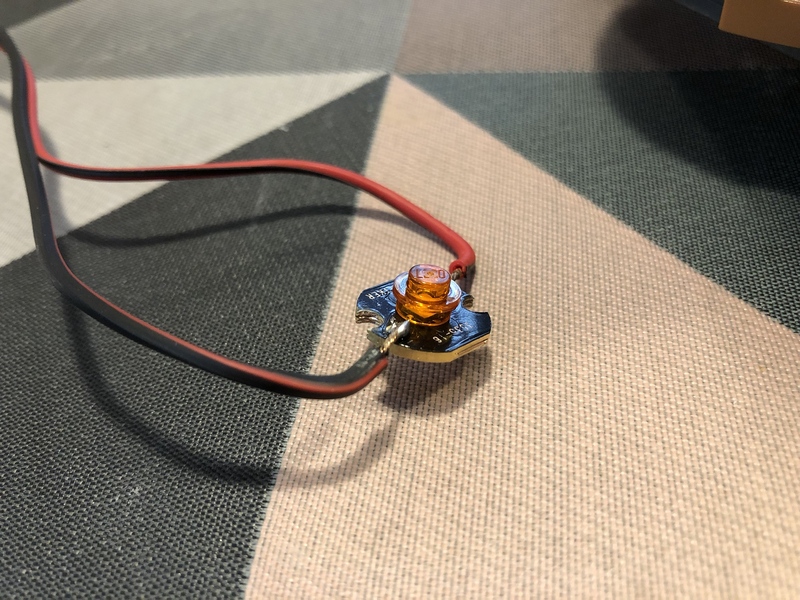 Did you only do an emitter swap? Or does it have a better heatsink now. 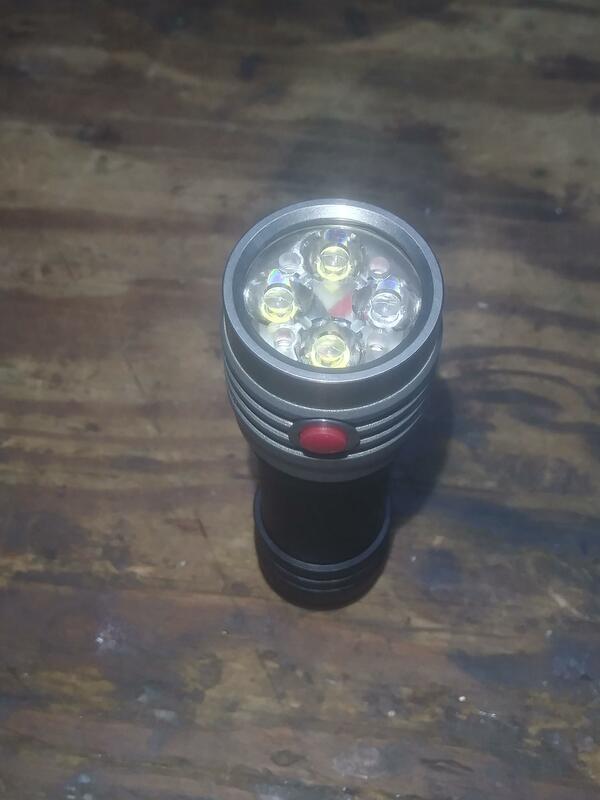 Do you have a link to this Flashlight? 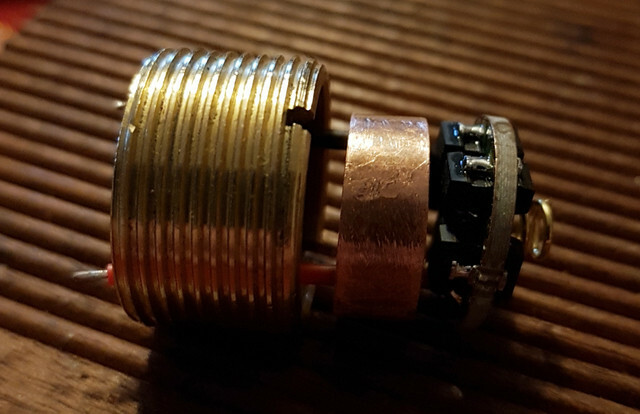 Driver hook up with XML2 for testing current purpose. Didn’t want to kill my Flatblack during testing. 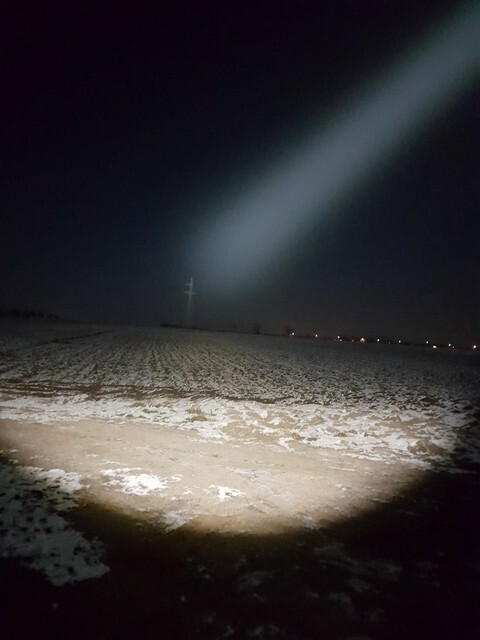 Beamshot at 8m with perfect focus. Thanks for the orginal centering ring and I didnt to do any focusing. Took lux reading 8m and it gives 3850 lux. This equivalent to 246k candela. Don’t know if it counts as a “mod”. 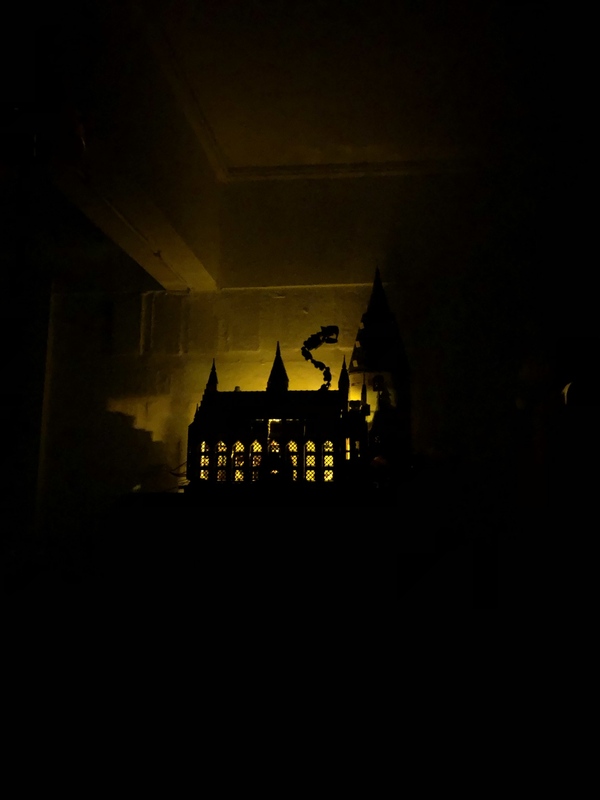 But i made a 5-minute setup, to light up my wife’s Harry Potter LEGO castle. 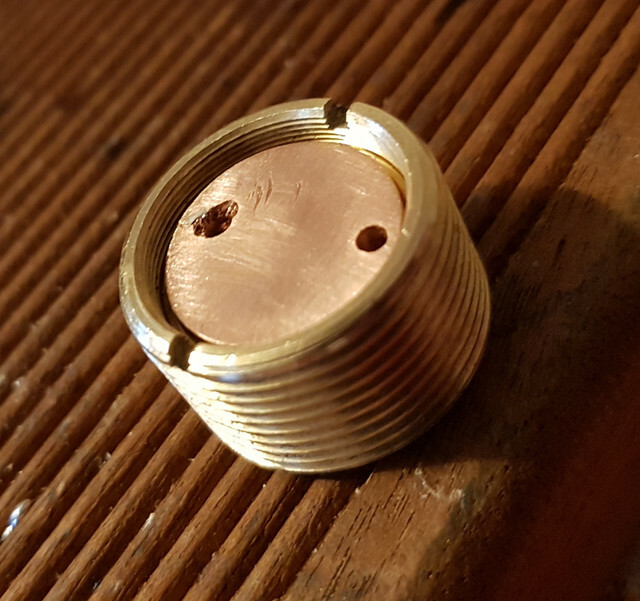 I made a flat white 1mm² in my convoy c8. 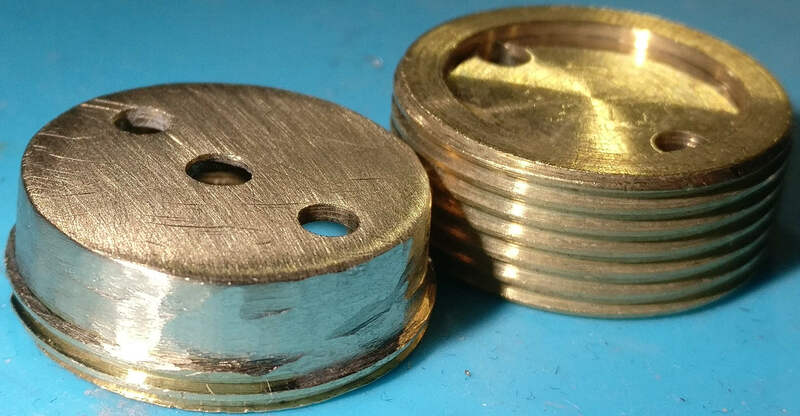 The gaskets from int outdoor are for a 7mm reflector but i used it anyway. 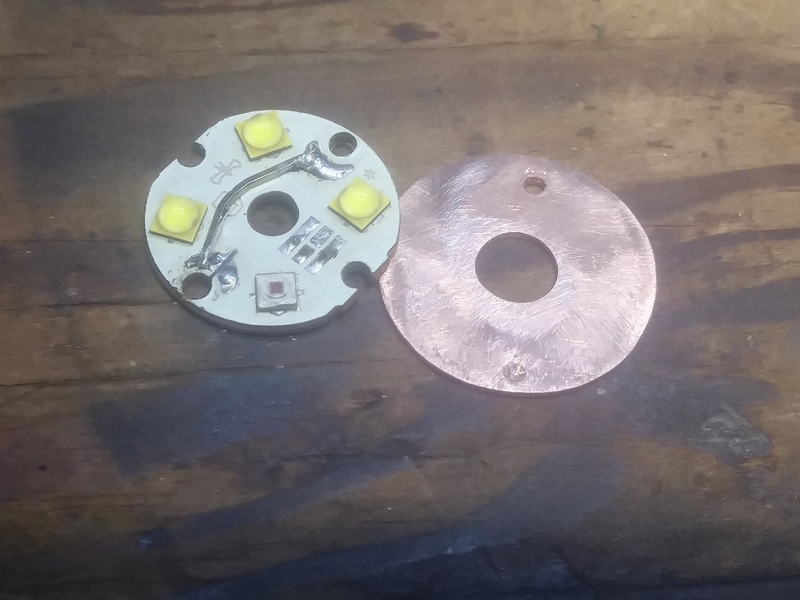 After turning the bezel a couple of times i got a pretty good beam. 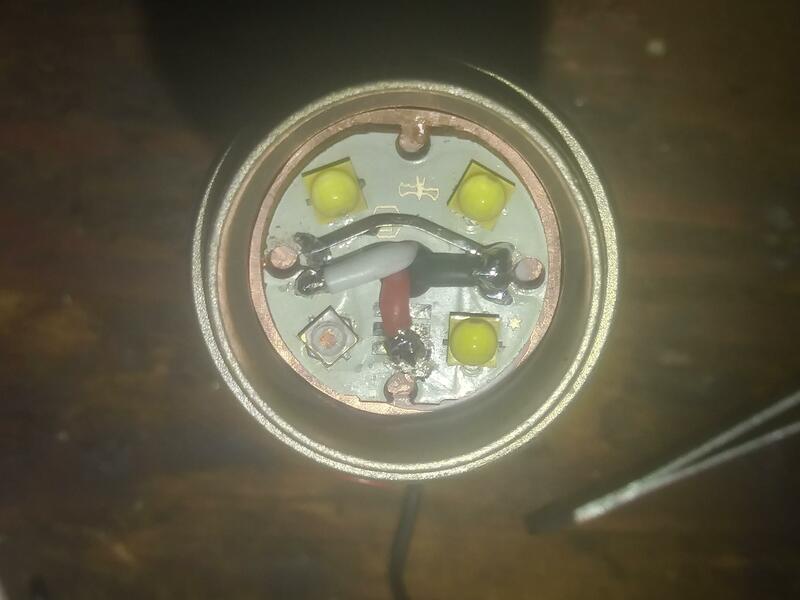 Uses a single mode nanjg driver with 3.04 amp. It gets pretty Hot after 60 seconds. 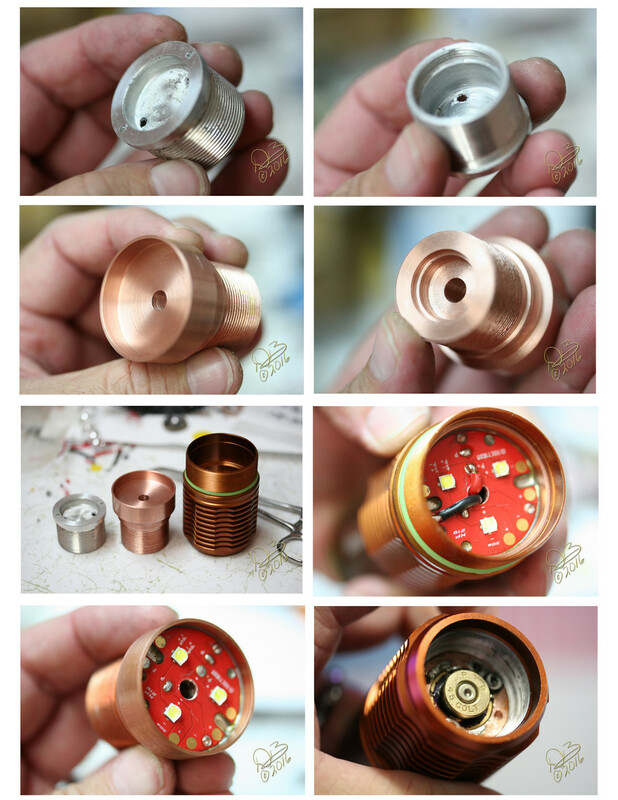 Top is the flat white and bottom a c8 with xpl hi and fet driver.